Lot 1664. 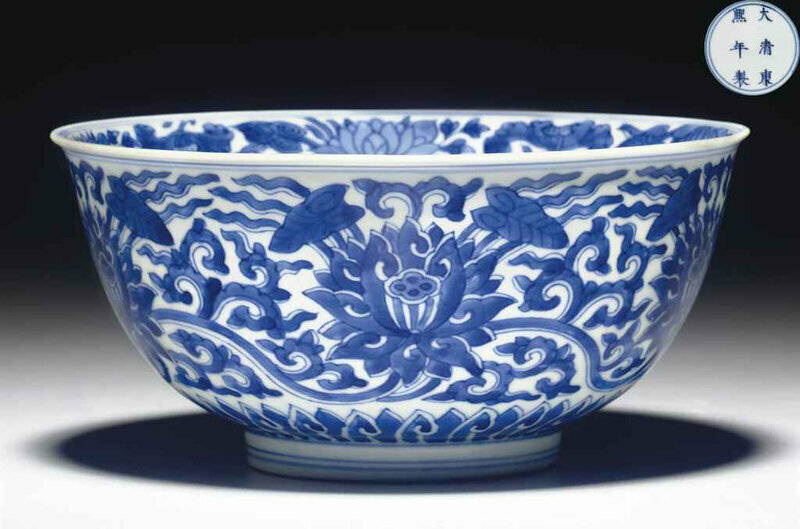 A blue and white bombé censer, Kangxi period (1662-1722); 10½ in. (26.5 cm.) across handles. Estimate USD 40,000 - USD 6,000. Price Realized USD 17,500. © Christie's Images Ltd 2011. 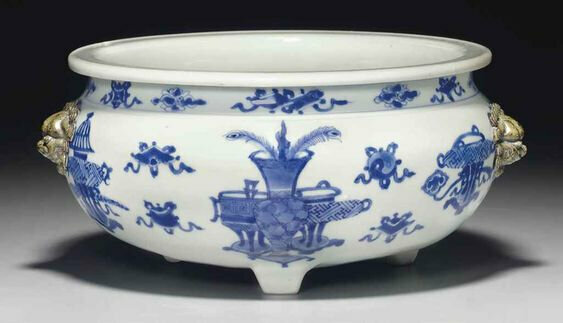 The compressed body painted in tones of underglaze blue with groupings of floral arrangements and antiques alternating with auspicious emblems which are repeated in a narrow band below the flat rim, flanked by a pair of brown-dressed biscuit animal-mask handles and raised on three tab feet.